Nero's vast speed, strength, durability and overall power advantage makes this a win for him, in my opinion. Nero basically beats him in every physical aspect as well as in powers so I don't really think Corvo can win. In the setting, Corvo could give Nero some real trouble. 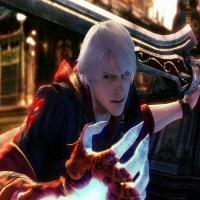 I don't know much about DMC characters, so how well does this guy deal with a bolt or bullet to the back of the head? Yea, except for Corvo's non-physical powers. 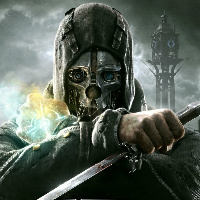 Corvo definitely has the odds against him, but he has the capabilities to pull off a win, with a little bit of luck. Is there really a power in Corvo's arsenal that could really give him a win though; from what I understand though the only thing he has that would allow him him any major advantage would be the timestop ability. You know what they say luck is for losers. I can't really find that much info on Corvo what are his non-physical powers everyone? and how much of a difference is there between Nero & Corvo's physical powers? It seem everyone agrees Nero has the edge in that department. With the physical powers edge Corvo better be one hell of a strategist to go up against Nero. Going with Nero is faster how is Corvo going to hit him? Nero is a bullet dodger, even if he does hit him he has his healing factor. Healing factor we don't no the true limit to but most agree getting your head cut off would do it. Nero has Devil Bringer which has a hell of a lot of power. If he gets in any kind of trouble he could create distance with Devil Bringer & his superior speed. But if Corvo gets around the physical disadvantage then he has to deal with the healing factor. If he lands a good enough shot Nero would go into Devil Trigger, making him stronger, faster, more durable, healing factor in over drive, and worse for all for his opponent he uses Yamato in Devil Trigger. All Nero's weapons are superior to Corvo's right? Red Queen, Blue Rose, and Yamato. This is my first little thing mostly me pointing out Nero's power but help with info on Corvo would be thanked. Final note on this first post if all the characters are at there strongest this means Nero is either trying to save Kyrie or protect her. So good luck to the other guy.